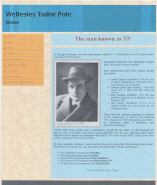 It seems about time to give another mention to The Two Worlds of Wellesley Tudor Pole, my 85,000 word biography of a great twentieth century mystic. Here’s the Introduction to the book, where I give my personal angle on the story. Hope you like it. As I grew up in the early Sixties I was taught that all the important spiritual action had happened two thousand years ago, and the only thing left for us, stranded as we were in the wastes of the twentieth century, was obedience to authority. I could never reconcile myself to that depressing verdict. I felt as if something transcendent, glorious, fulfilling was only just out of reach. If pressed to specify, I might have said it was like the sun searing its way through clouds, firing their edges with golden hosannas. If pressed further, I might have suggested something ethereal yet powerful was breathing its way through the world. However that, as I say, was not the prevailing teaching. As the Sixties progressed, though, some remarkable intimations entered Western awareness. At first they emerged in the form of sitars on Beatles records, or a giggling Maharishi on news bulletins. Then a friend – my dad in fact – passed me a copy ofAutobiography of a Yogi (Paramhansa Yogananda), and suddenly I realised the transcendent, glorious, fulfilling thing could happen right now. Only not here, not in the West. You’d have to go to India for that, follow the hippy trails and maybe buy an Afghan coat en route. If marooned at home, you could at least try sitting in a lotus posture, changing your name to something Sanskrit, and wearing a kaftan. However, something else happened in the Sixties. There was an old, much travelled man by name of Wellesley Tudor Pole – often just ‘TP’ – who published a book called The Silent Road in 1960, following it up with a couple more as the decade progressed. His writings created only a small stir, and it probably wasn’t until some time in the Seventies that The Silent Road found its way into my hands, but suddenly I realised the transcendent, glorious, fulfilling thing could happen right here, as well as right now. No need for priests or authority. No need for lotus postures or kaftans. You could wear what you wanted, sit how you wanted, even keep your own name if you were really fussy about the matter. That wasn’t all. TP had arranged the purchase of Chalice Well, reckoned by some to be a ‘thin place’, that is a place where the veil between this world and the next is particularly slender, tenuous, insubstantial. As the Sixties wore on visitors to Chalice Well could experience this for themselves. Indeed, looking back, I try to remember my own first involvement, but such is the selective memory of fatherhood that I need Chris, my wife, to remind me how our kids used to totter around the gardens – it must have been the late Seventies then – until, on repeating visits and with longer legs, they managed more of a scamper. In amongst all this, of course, one has to earn a living, and my profession, schoolteaching, was an exportable one, taking me and the family abroad. Things went well, but not invariably, and as I lay dying (although apparently not quite) in the Aga Khan Hospital Nairobi in 1990, I kept a copy of The Silent Road by my bed. I’m not sure what for. I doubt if I was capable of any genuine thought by that stage, but I may have felt – in a vague and pre-discarnate sort of way – that an experienced guide to the Beyond might be a handy neighbour. Then, at the end of the Nineties, and back in England, I was recovering from some more surgery, less drastic this time, so I could take my time enjoying the convalescence. Maybe I enjoyed it too much because I got one of those surges of well-being that accompany returning health, and decided to write a biography of TP. Ah, the optimism of youth! (I was just under fifty.) I set to work, investing time, energy and a few thousand pounds into research, collation of research, editing of research, sewing together of research and eventual sending out of sewn-together research. And – guess what – the first agent I tried said yes. And that’s what did it. 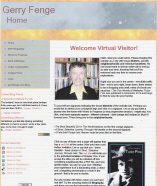 In September 2010 I received an email from David Spangler – a practical mystic not unlike TP himself – who had spotted the website and wanted to arrange publication. Consider the timing – 2010 – exactly fifty years from the start of the Sixties, exactly fifty years since the publication of The Silent Road, a volume of anecdotes and ideas in which TP, amongst other things, left plenty of gaps for a biographer to fill. Such anniversaries can have special resonance. With the onward circling of time, we have arrived at a moment to fill some of those gaps, and this volume covers the first half of his very full life. How about the other half? Well, the decade is yet young. Volume two hovers in potential, as might many other things in these potentially crucial times. Soon it will be fifty years from sitars and Maharishis. Soon it will be fifty years from the realisation – in some of us – that the important spiritual action was not locked away in a two thousand year old vault. Soon it will be fifty years from a suspicion – in some of us – that further crucial events might be just around the corner. It’s a good time for keeping our eyes and ears open. It’s a good time for getting Wellesley Tudor Pole back into print.